I had posted on this. The Jerusalem Post indicates that Rabbi David Lau is not opposed to the conversions performed by the Beth Din of America, however, Rabbi Yitzchak Yosef prefers to treat each convert individually. I do not understand the rationale from Rabbi Yosef. Unless the Beth Din is Pasul, the conversion has occurred (except in very extenuating circumstances which would have been in existence before the conversion). I am not at all sure Rabbi Yosef’s father, Chacham Ovadia ז׳ל would agree with his son. For the record: All Geirim need to go through a proper process of learning and should be accepting of the yoke of Mitzvos. That is independent. I believe this would certainly be the case for the Beth Din of America. Understandings reached in 2008 between the Chief Rabbinate and the Rabbinical Council of America stated that an Orthodox conversion performed in America and given formal approval by a rabbinical judge from the Beth Din of America would be recognized as valid in Israel by the Chief Rabbinate. However, this agreement has been unraveling in recent years, as numerous cases have occurred in which conversion approvals from the Beth Din of America and its most senior judge, Rabbi Gedalia Dov Schwartz, have been rejected. It is the rabbinate’s Department of Marriage and Conversion, run by Rabbi Itamar Tubul, which has been directly responsible for these rejections. The department is under the authority of Yosef in his position as president of the Supreme Rabbinical Court, and sources in the Chief Rabbinate have indicated that he is responsible for instructing Tubul to adopt this new approach. Yosef’s office declined to answer an inquiry made by the Post as to whether the chief rabbi considers the understandings of 2008 as still operative. On Sunday, a spokesperson for the Chief Rabbinate said that every case requiring conversion verification from the US “is examined on an individual basis,” and that “there are no all-inclusive approvals or rejections,” indicating that the Chief Rabbinate, under Yosef’s direction, no longer considers the 2008 agreement to be binding. Lau and Yosef have had a high-profile quarrel for several months over various issues. The ITIM religious services advisory group, which has represented many of the converts requiring recognition by the Chief Rabbinate, welcomed Lau’s comments to Tubul, but was critical of the fight between the two chief rabbis. “The internal bickering in the rabbinate is taking place while converts are suffering. This is un-halachic and inhuman,” said ITIM director Rabbi Seth Farber. That being said, the interaction between my car and it’s bluetooth implementation and my phone, causes a shiur (I have about 2000 on my iPhone) to come on when I drive. On Friday, I heard part 2 of one from Rabbi Professor Sperber (who is known for his fantastic series on Minhagim). There were aspects that disturbed me. I will try to listen to Part 1 and 2 and blog about that in the future. Rabbi Riskin gave an interview yesterday in which he posited that the Reform an Conservative movements are not enemies, but rather partners (see link in the comments). In response, Rabbi Gordimer wrote a scathing response (link below in the comments). I must take issue with Rabbi Gordimer’s comments. 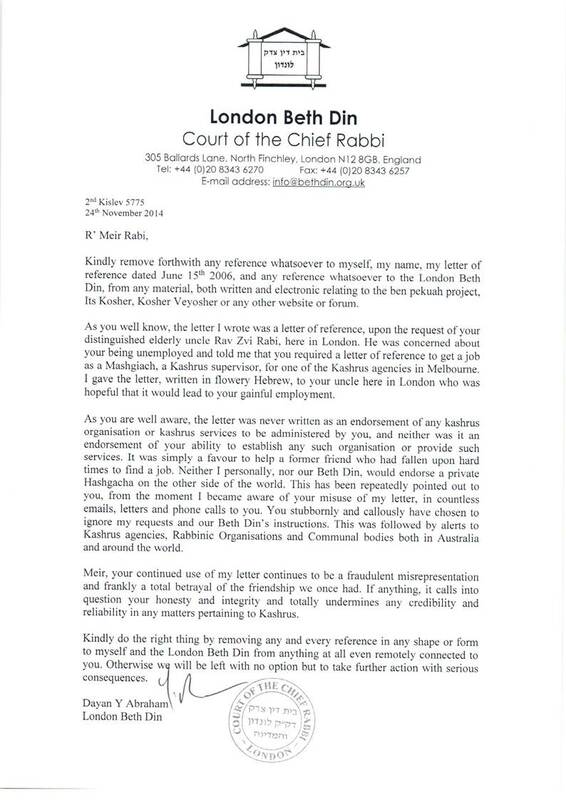 I would like to start off by saying that as my family was also very close with The Rav, and also very much involved in YU, I have – despite my growing up here – always been privy to many stories regarding Rabbi Riskin, both positive and negative, and have been “kept in the loop” through those circles and connections. But I never really knew Rabbi Riskin until I started working for him (and still work in one of his institutions). Throughout my work in Ohr Torah I have had many opportunities to sit with him, discuss both practical and theoretical issues, and hear his position on many a topic. I can say two things without hesitation: (1) Rabbi Riskin and I disagree on a whole bunch of stuff. I can count on more than two hands the Halachic and philosophical positions he has taken which I disagree with. We have very different outlooks. (2) Rabbi Riskin is a completely authentic and genuine person. He doesn’t pander, doesn’t change his opinion in order to get as many “likes” as possible. That’s not his way. He really and genuinely believes in his positions, and thinks they will benefit the Jewish people. Rabbi Gordimer’s insinuations otherwise are scandalous. To call Rabbi Riskin a “superstar Rabbi”, or to say he is just trying to be “politically correct” or to “gain popular appeal” – that’s just slander. If he wants to talk about the issues, he can do that, but to attack Rabbi Riskin’s character is off-the-wall, especially as it misses the mark completely. Even to claim he is Open Orthodox is doubtful in my eyes. Look at the article Rabbi Riskin published in Techumin, regarding women receiving Aliyot to the Torah. He outright prohibits it. Is that the psak of an Open Orthodox Rabbi, trying to gain public appeal and score points with the liberal public? Or is that the position of someone who will tell you what he thinks is right, regardless of how it makes him look (and no doubt people looked to him to allow that as well)? 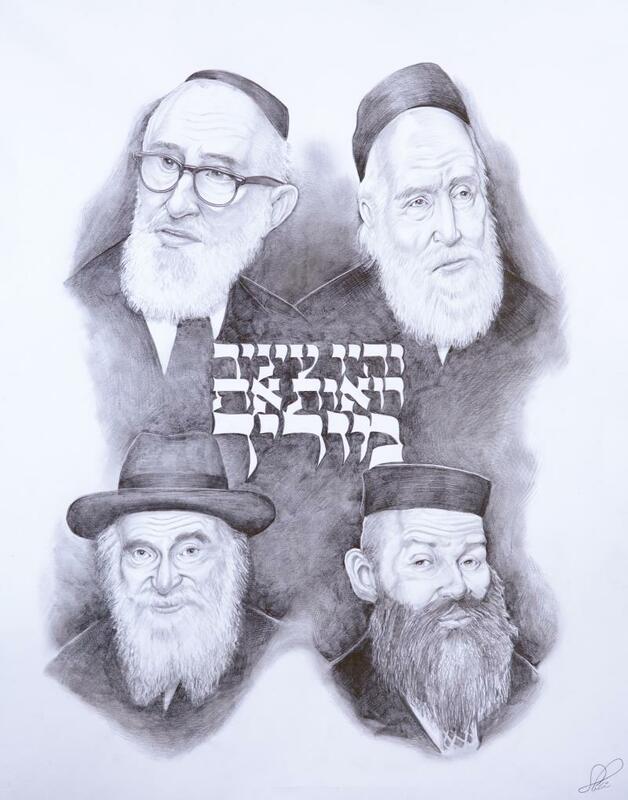 My father – who sat in The Rav’s shiur – once told me that no matter what, he believes anyone who was in The Rav’s shiur and was close with The Rav, is kept honest by that experience, because whenever he does anything, he sees The Rav’s face in front of him, and that keeps him from straying off the straight and narrow. So I don’t worry about Rabbi Riskin, who has done so much for the Jewish people – even if you think his comment was mistaken this time around. I worry about that the people who slander him, that the flame of their self-righteousness shouldn’t blind them from seeing the forest from the trees.